Who knew we had so many followers in Australia and the states?! 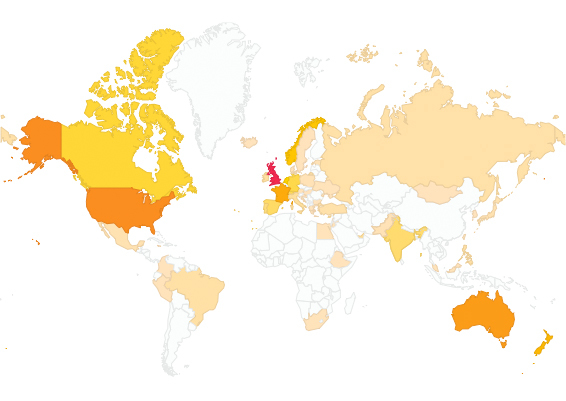 Reviewing our website visitors recently makes for very exciting reading. It looks like we’re stretching almost halfway across the world. Here’s a big worldwide hello to everyone out there, drop us a line we’d love to hear from you.